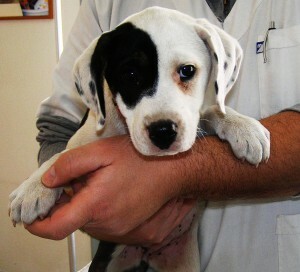 “Puppy Classes” is an event organised by the Veterinary Clinic of the Cyclades. It takes place at the premises of the clinic one Sunday each month. During the event, puppy owners attend a presentation on training basics and veterinary care for their new pet. We discuss about all the things we would like to say at their first visit to the clinic but cannot be told in one visit. What is positive reinforcement training for dogs, where it will sleep, what are its basic needs which we usually are not aware of. What we should feed it, how much and when, why it should be wormed (pill for gastrointestinal endoparasites), how to protect it from fleas and ticks, what is leishmaniasis (kala-azar), how to take care of its teeth. The above and other similar topics are covered in a presentation lasting approximately 2 hours. A member of the Clinic team covers training and one of our veterinarians covers veterinary-related issues. You can bring your puppy provided it has had its first shot, and all your family members, they are most welcome. 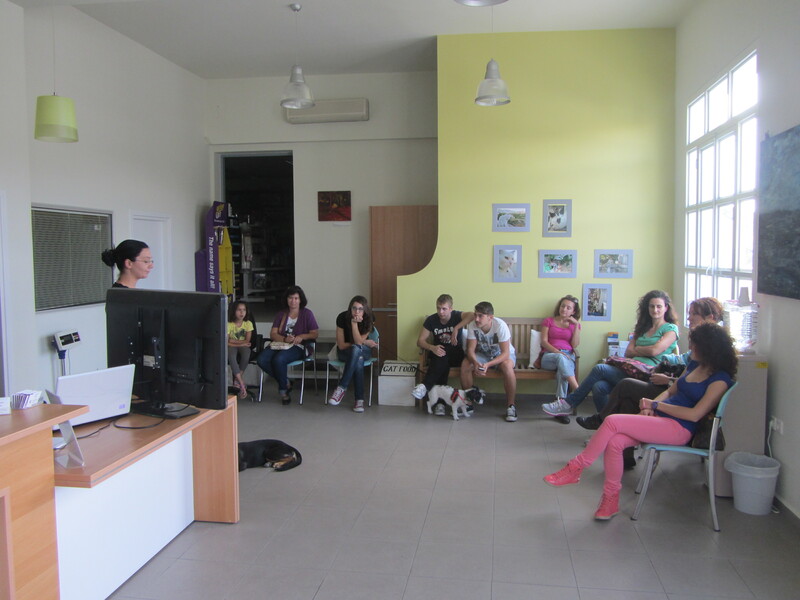 The presentation is done in a relaxed atmosphere; you can ask anything about the new member of your family and we hope that the knowledge, experience and information you receive and gain will help you raise a healthy dog, with an emphasis on preventing health and behaviour problems. Puppy classes are open to all dog owners, and as the saying goes “it’s never too late” to learn.